I first started reviewing the elevation mask last month. The initial review can be found here. I immediately started implementing it into by daily Desert-Fit workouts and included it on the Desert-Fit V3 workout structure. So does it work? Well in the last review we talked about how it doesn't really simulate a change in elevation, but actually restricts the airflow to your lungs. In that case your lungs are not adjusting to thinner air, but your lungs are instead working harder to get the same air in. This condition is call "Hypoxic" honestly I'm not much of a scientist, but this link can explain hypoxic training better than I can. Some people may not see the benefit of it, or even assume its snake oil, but think about swimming. Swimming is hypoxic because you are holding your breath through a few strokes before breathing again. This is unlike running where you are breathing the entire time. If you do not swim a lot start now for the proof of concept. your first few sessions will be miserable, but you will rapidly improve as your lungs get better at operating in a hypoxic situation. But does the mask work? Yes. The mask turned all of these workouts into an extremely high intensity one. This causes you to work harder in a shorter amount of time, and works you lungs harder than they would otherwise. Its almost like overspeed training for your lungs. It also has an added mental benefit. It absolutely makes you concentrate on your breathing. You have to in order to make it through a workout. This is great for those who may have trouble controlling their breathing, or simply don't know how. The mask forces you to control it. How do I program it in to my workouts? I refrain from using it during dedicated weight training or when testing myself because I want as much oxygen as possible to achieve the best results. I do use it however when I want to increase the intensity of a shorter workout. I also plug it into some dedicated cardio workouts. To wrap up I absolutely recommend the mask. When you purchase it and plan for it keep in mind what it's capabilities are, and how it can benefit you. 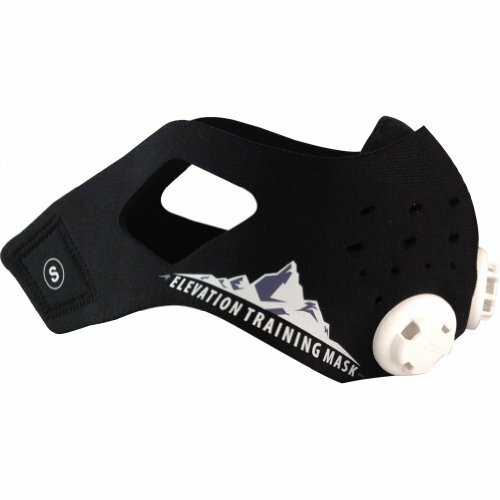 The Elevation Mask is available below!